Some horrible photography but they weren’t really frazzled – promise! This won’t exactly be very coherent because it wasn’t even a very coherent day! My mother and step-father have an annual Christmas party – I know, I know, a very late post but I wasn’t sure to write it up or not because it was such as mishmash of things. I wanted to help them with things because they are both getting on a bit and my mother has a bad back so don’t want her making it worse. I was supposed to do a few things, cut up 5kg of beef, prepare 30 chicken thighs to make mango chicken and then I thought I would make some sausage rolls for the guests. Needless to say, despite my good intentions, I got there and the beef was already cooked and ready to be reheated the day of the party and my mother was keen to do the chicken because it also turned out that they had been deboned by the butcher so it was very low effort! She had also proceeded to order a very small amount of sausage meat so I arrived with very little to do and a mass of bought pastry so I had to improvise! I also did this before Brookers of Blunty’s came about so it wasn’t very well documented with photos. The sausage rolls were intended to be made in a much bigger quantity, I have made them a time or two before and how can you not love a sausage roll?! The best thing is that it is totally customisable. I went with some herbs in the sausage meat and some thinly sliced bits of “cooking” chorizo to give something a bit more. As it slowly dawned on me how little meat I had, the sausage rolls sort of became pinwheel type things but they were still brilliant! If you are being adventurous with your flavour combinations, it might be worth taking some of your sausage meat and frying it in order to check it tastes ok.
2, Throw in all of the herbs, sausage meat and shredded chorizo into a bowl and mix well, your hands are the best thing for doing this with! 3, Create a freestyle sausage shape on the pastry, remember you will need a good bit of an overlap in order to overlap the pastry. 4, With a pastry brush, brush a little egg onto the flap of pastry and then, over the SAUSAGE, ROLL the pastry over and use a fork to crimp the pastry. 5, Cut them into the desired size and put them onto a greased baking tray, brush on some beaten egg and sprinkle sesame seeds etc on top. 6, Put them in a medium oven (180 degrees C) for 20 minutes and check them regularly to see they aren’t burning! 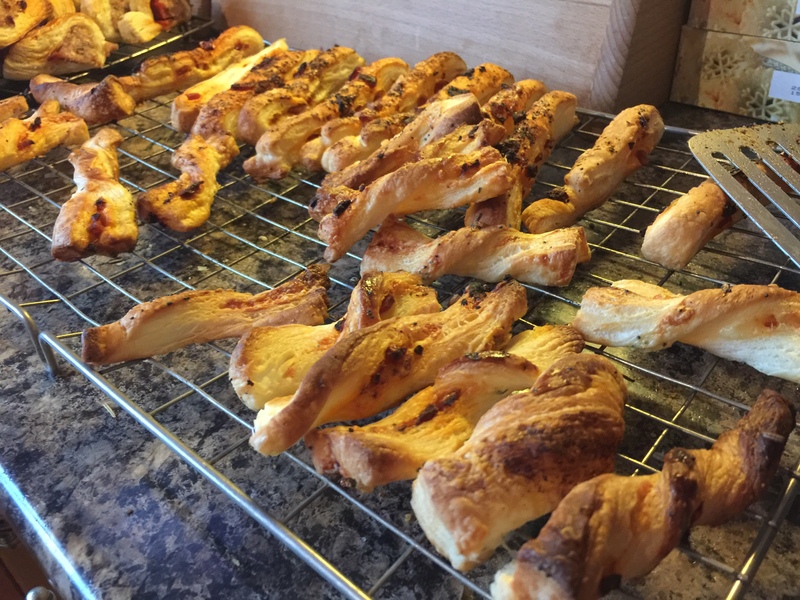 The cheese straws were made purely to use up the excess pastry but they were brilliant. I decided to cut the chorizo into thin matchsticks and grate some cheddar. There is no need to bother with instructions, simply roll out the pastry, liberally sprinkle the filling and then fold it in half and then cut them into ribbons about 1cm wide and 4-5mm thick. If you want to get fancy, try twisting them up! Sorry about the chaos of this post, it has been a busy few days of no free time and working all weekend! On the bright side, we saw a barn owl flying over our field. Lovely stuff.